The U.S. Consumer Product Safety Commission, in cooperation with Toys R Us, today announced a voluntary recall of about 9,000 Imaginarium Activity Walkers because the small bolt and spacer that attaches each front wheel to the walker can detach, posing a choking hazard to young children. 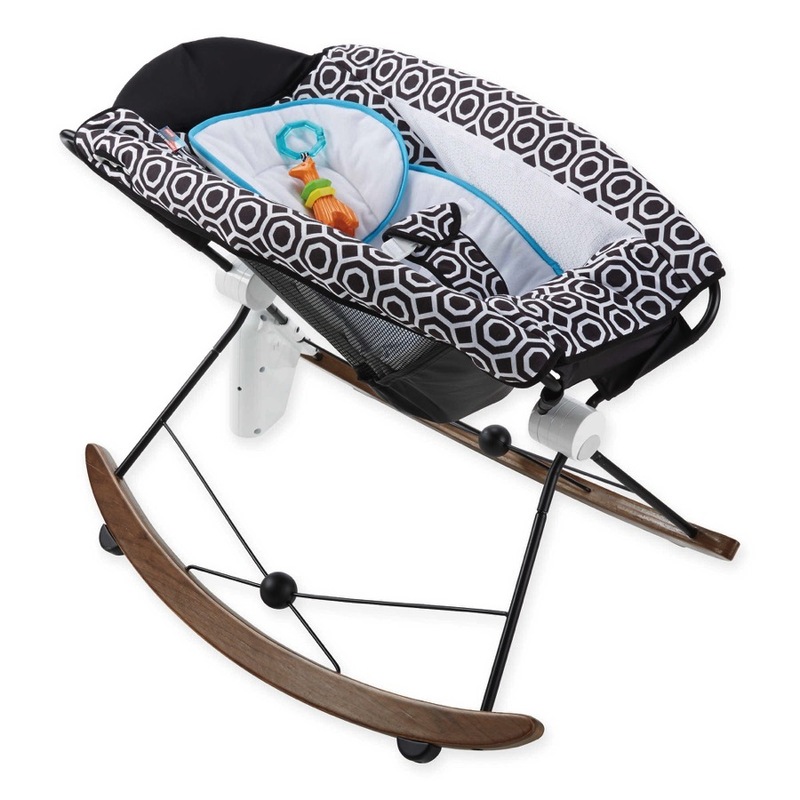 The recalled Imaginarium Activity Walkers have a round wooden push handle on the top of a curved triangle-shaped wooden walker base with four wheels. There is a multi-colored metal xylophone with 2 triangle mallets, 1 multi-colored abacus and 1 scratch noise maker on the front of the walker. The walkers have multi-colored wooden, disc-shaped wheels. The walkers measure about 19 inches tall and about 13 inches wide. 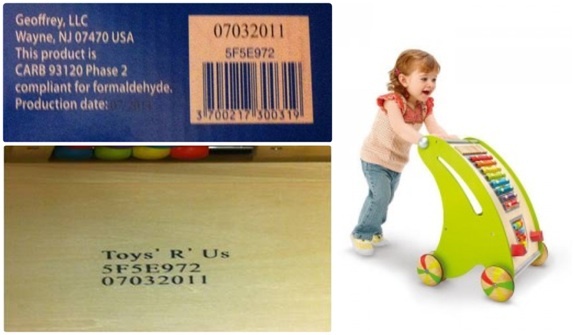 The recalled walkers have model number “Toys ‘R’ Us 5F5E972” printed on the bottom of the activity walkers. Barcode number “3700217300319” is printed on the bottom of the activity walker box. Parents are asked to contact Toys R Us at (800) 869-7787 from 9 a.m. to 11 p.m. ET Monday through Saturday and from 11 a.m. to 7 p.m. Sunday, or visit the firm’s website at www.toysrus.com for a full refund or store credit.